Apropos of nothing | I am the Lizard Queen! At the place where I work we get a monthly wellness newsletter. It’s published by the Wellness Council of America, and sometimes its advice strikes me as relevant and helpful, if not necessarily to me then to someone who has kids, is nearing retirement, etc. Other times, though… mmm, not so much. This month, though, pretty much took the cake. The back page features a pair of articles on “GenXers”: Working with Members of Generation X and The Life and Times of a GenXer. These caught my eye, being myself a member of Generation X, at least according to some measures (including the one used in these articles, which measure Gen X as folks born 1965-1980). And, um… wow. First of all: o hai, welcome to the mid-nineties! Seriously — I’m pushing thirty here, and I’m on the very tail end of Gen X. If people haven’t yet figured out how to work with people my age and up to fifteen years older, then I think maybe they’re doing something wrong. GenXers are terrific multi-taskers and used to a lot of stimuli. Keep them motivated by providing an environment in which they are challenged, and have opportunities to grow, and projects and assignments to keep them interested. Avoid corporate jargon and buzzwords, and talk in short “sound bytes” to keep a GenXer’s attention. Compose e-mail messages using short, concise wording when you communicate with a GenXer. Share information with them often and especially after an important event. Ask for their feedback and then listen to them—you might learn something! Keep meetings on track and focused. GenXers may become bored in meetings in which too much discussion precedes final decisions. GenXers are independent and require space. Don’t micromanage, but instead, give basic directions and then allow them to figure out the best way to get results. Reminiscing about 60-hour work weeks and wondering why younger staffers hit the door at 5 p.m.? Keep in mind that GenXers value a healthy work-life balance, and won’t spend as many hours in the office. Don’t try to force feed your values onto members of another generation. Don’t get me wrong: I do see some of myself, some of my friends, and some of my coworkers (especially, in fact, those from Gen Y/the Baby Boom Echo/whatever it is we’re calling it these days) in these tips. But, come on — we’re adults; this makes us sound like we’re grade schoolers with short attention spans! (And really, isn’t “keep meetings on track and focused” good advice for the workplace regardless of what generation one’s dealing with?) Also, overgeneralized much? CHAMPAIGN, Ill. — In a study that challenges current ideas about the insect brain, researchers have found that honey bees on cocaine tend to exaggerate. Normally, foraging honey bees alert their comrades to potential food sources only when they’ve found high quality nectar or pollen, and only when the hive is in need. They do this by performing a dance, called a “round” or “waggle” dance, on a specialized “dance floor” in the hive. The dance gives specific instructions that help the other bees find the food. Foraging honey bees on cocaine are more likely to dance, regardless of the quality of the food they’ve found or the status of the hive, the authors of the study report. HONOLULU (CNN) – Many Republicans already believe President-elect Barack Obama has gotten a free ride from the national media, so they may not be happy to learn the incoming Commander-in-Chief offered to buy a round of drinks for reporters covering his working vacation on the sands of Hawaii’s beaches and the greens of its lush golf courses. 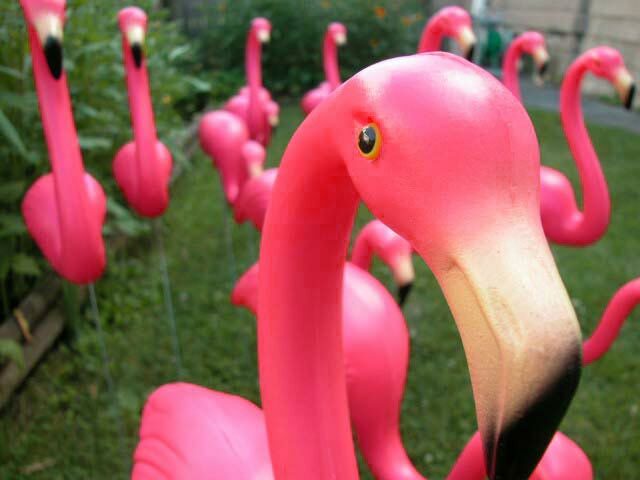 LOVELAND — The Thompson Valley High School band is missing a flock of pink flamingos, and band members suspect foul play. It began about a month ago when the 80-member marching band started a fundraiser involving pink yard flamingos, said band director Robert Pippen. Three teams of band students, each team wielding around 15 flamingos, were paid to cover a person’s yard with a flock of the fake birds. The surprised recipient of the flock then had some options: pay $10 to have the flock removed; pay $25 to flock someone else’s house; or pay $35, which includes flock insurance. The insurance ensured people would never be “flocked” again, Pippen said. He emphasized the “flocking” is all in good fun to raise about $10,000 for three new marching tubas. They’re up to $400. “If someone is really upset about it and doesn’t want to pay, we won’t make them pay, of course.” Pippen said. But one flamingo team got grounded two weeks ago after “flocking” a home. The day after the “flocking,” the birds were missing and it appears someone may have taken the flock for themselves, Pippen said. Even with that former neighbor in mind, though, what kind of Scrooge McGrinch steals a high school band’s flock of lawn flamingos? I hope they’re returned soon. As if there were any doubt. You scored as Serenity (Firefly)You like to live your own way and don’t enjoy when anyone but a friend tries to tell you should do different. Now if only the Reavers would quit trying to skin you. LONDON—Twins who were separated at birth got married without realizing they were brother and sister, a lawmaker said, urging more information be provided on birth certificates for adopted children. A court annulled the British couple’s union after they discovered their true relationship, Lord David Alton said. . . .
“I was recently involved in a conversation with a High Court judge who was telling me of a case he had dealt with,” Alton said according to a transcript of the Dec. 10 debate. “It involved the normal birth of twins who were separated at birth and adopted by separate parents. I’m always intrigued by the bond between twins. More than that, though, I just can’t get over the title. First I read it as “twits” instead of “twins,” which then of course made me think of the Upper Class Twit of the Year competition; then there’s the fact that as it’s structured there, it sounds like the twins meant to get married, they just didn’t mean to get married in Britain. Then, from the Globe itself: No Pants (on the T) 2K8! Knobby knees. Hairy legs. You can see plenty on the beach in summer. You may also see them on the subway in Boston tomorrow. Some riders may be participating then in No Pants 2K8, an event in which some people plan to ride the trains in their underwear. Organizer Adam Sablich said that it’s a “large-scale improv event,” and that 400 to 500 people have said via Internet networking sites that they are interested in participating. He said it is a spinoff of an event that has been happening in New York City for a half-dozen years. “We’re out to prove that a prank doesn’t have to involve humiliation or embarrassment; it can simply be about making someone laugh, smile, or stop to notice the world around them,” reads the website, improveverywhere.com. Sablich, 25, of Haverhill, said the event calls for nothing illegal and that participants may wear coats over their boxer shorts or briefs.